Your first project should be kept as a reminder of how you began! 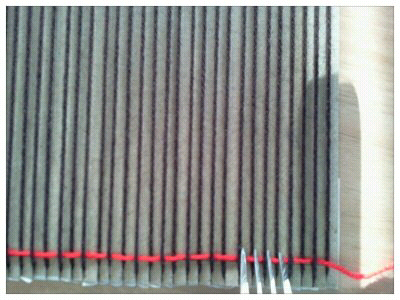 Refer also to: How to Make A Simple Cardboard Loom (posted 27 May 2011). 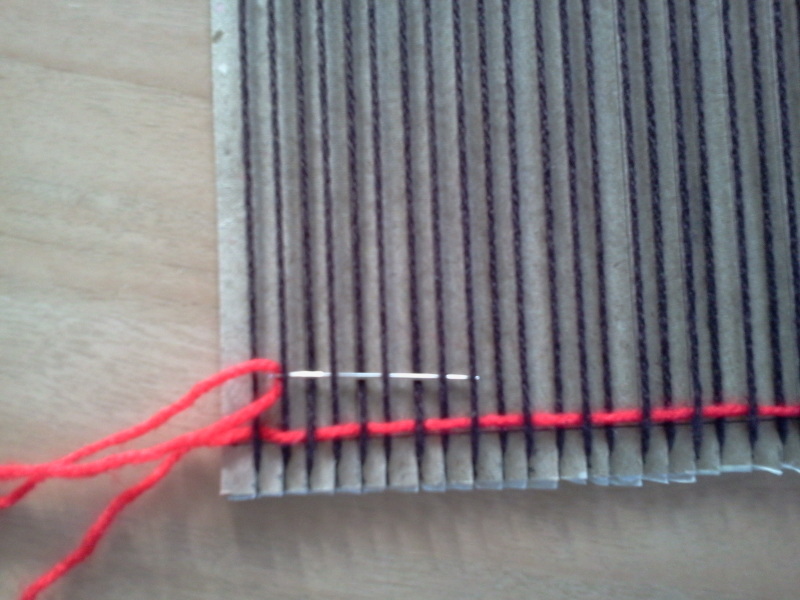 Using a darning needle, take the threaded yarn over the first warp and under the next. 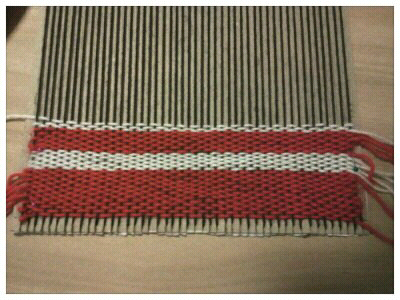 Continue to weave over and under the warp thread alternately until the end of the row. 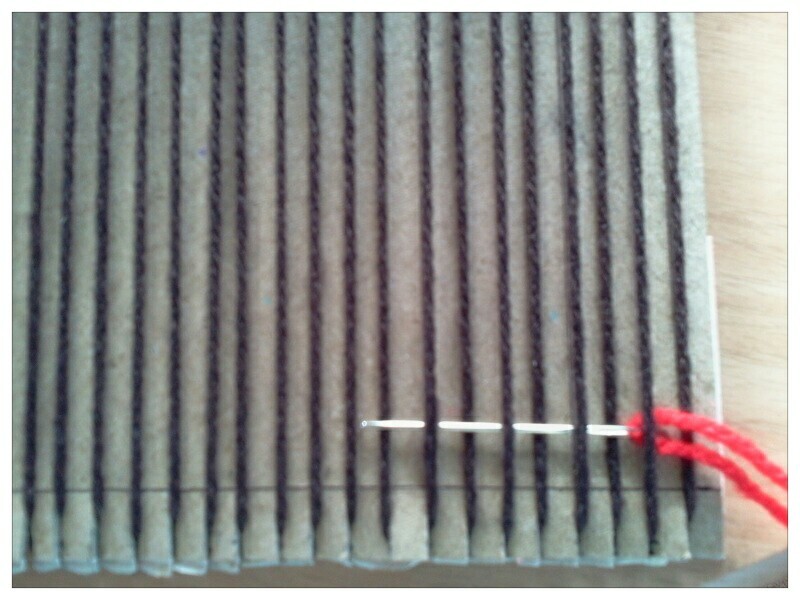 Use a Fork to draw down the the horizontal thread, called the weft, neatly into place. Working from the other side, ensure that you work this row so that you are taking the yarn OVER the warp thread that was in the previous row taken UNDER the warp thread - and vice versa, i.e. the yarn that was in the previous row taken OVER the warp thread must now be taken UNDER it. You are alternating your horizontal weaving yarn from the previous row. Every now and then check that you have a straight line across. Use the fork to adjust the line if it is uneven. 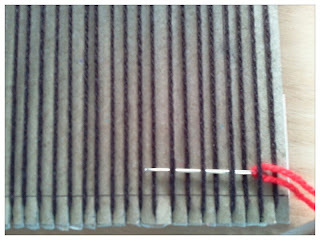 Look at your edges and check that you have not pulled the weft too tight. Your edges should be straight and even. 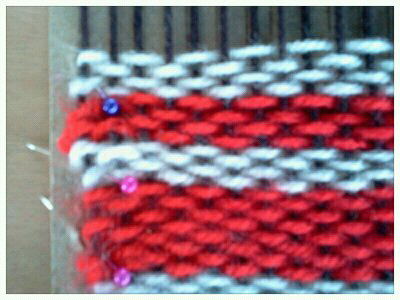 Use pins, if necessary, to help keep your work in place while you weave. Leave a 4 inch (10cm) tail of the colour that you have been weaving at the end of the row. 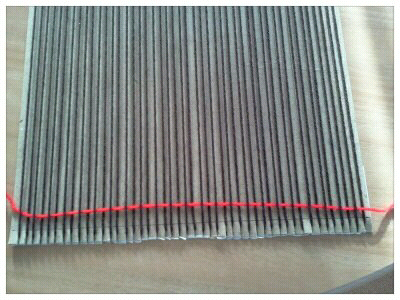 Thead the darning needle with your new colour and leaving a 4 inch (10cm) tail continue weaving weaving as before. You can choose to sew in all your tail ends at once when the work is complete or to run them in the final row of each colour while your work is in progress. You will also need to run in the tail end of each new colour. 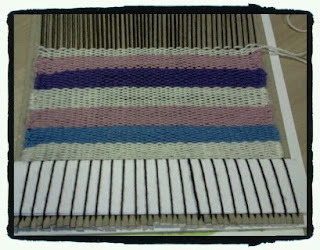 If you insert a folded piece of paper about 2.5 inches (6.5cm) depth before you begin weaving it will assist in keeping your work straight and it will make provision for fringed top and bottom edges if you require them. 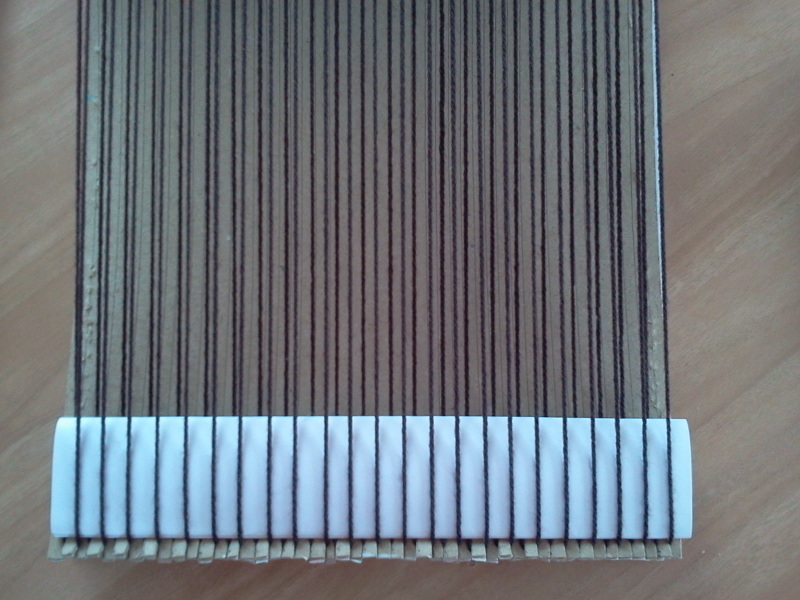 Place the paper between the warp threads. 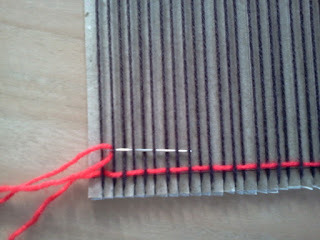 (Weave the paper over and under the thread alternately). Conversion of inches to cm is approximate. 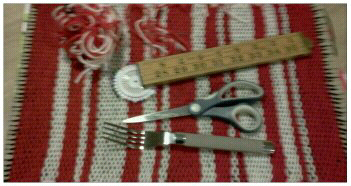 (4) Cut strands of yarn the length of your choice (but a manageable length for comfortable weaving). 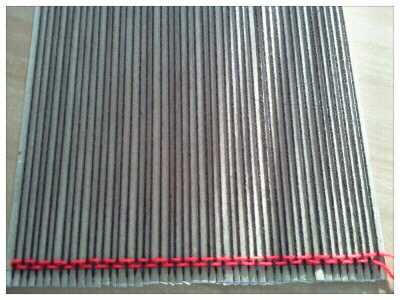 Insert folded pieces of paper each about 2.5 inches (6.5cm) depth to assist in keeping your work straight and to make a provision for fringed top & bottom edges if you require them. The paper at the bottom edge is really rather important but strictly speaking the top edge can be estimated, however adding the paper at the top edge too ensures that you remember to leave enough unwovern wool for the fringe. If you should forget and continue weaving too high you can remove as many rows as you want by pulling the wool out before it is secured. 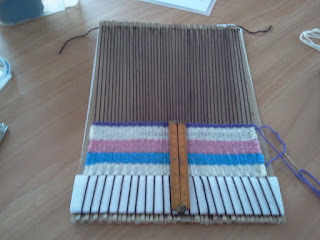 Row 1: Sit with the loom facing you on a table in front of you and begin working (generally from right to left if you are right-handed, although it doesn't matter which side you choose to begin weaving). 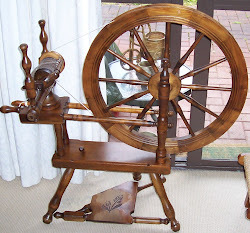 Using a darning needle, take the threaded yarn over the first warp and under the next. When you pull the yarn through ensure that one hand is placed firmly on your work to avoid the work being pulled out of shape. Leave a tail of about 4 inches (10cm) for sewing in. 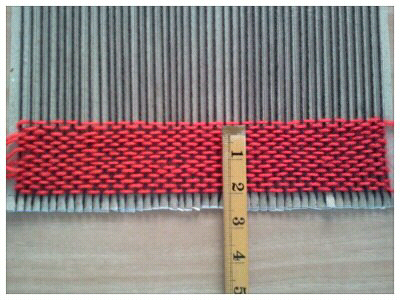 Continue to weave over and under the warp thread alternately until end. Row 2: Working from the other side, ensure that you work this row so that you are taking the yarn OVER the warp thread that was in the previous row taken UNDER the warp thread - and vice versa, i.e. the yarn that was in the previous row taken OVER the warp thread must now be taken UNDER it. 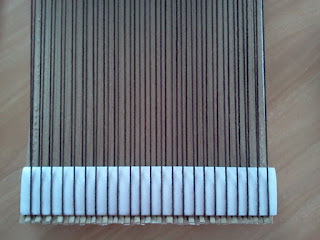 (You are therefore alternating your horizontal weaving yarn, called the weft, from the previous row). 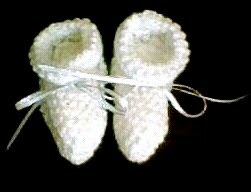 Continue in this manner throughout, changing yarn colour according to your planned pattern. 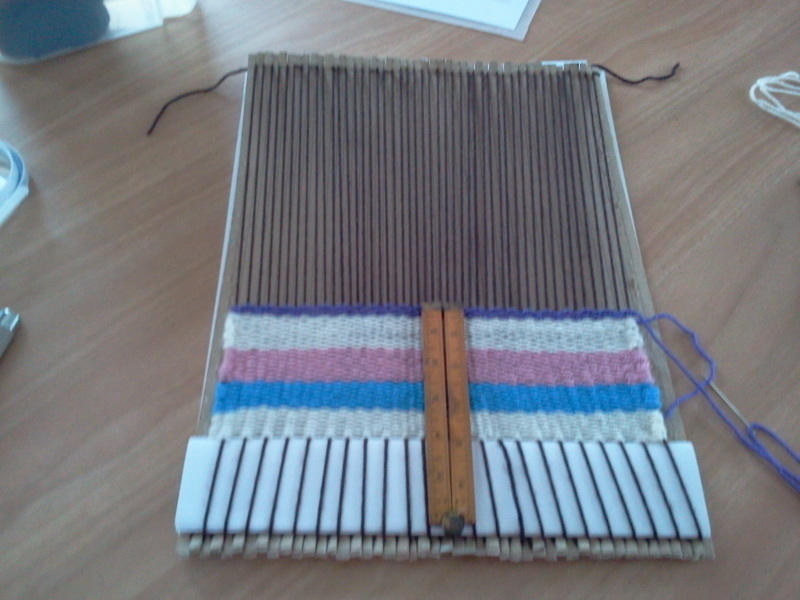 Check to see that your weaving is correctly alternating before the tail ends have been run in. Rectify your mistakes as you go. You can fix them later when the work is off the loom but it is preferable to correct errors while you weave so keep your eye on your work and constantly check for mistakes. Do not pull the thread of each row too tight. If you notice that your work no longer has a straight edge rectify it immediately before the tail ends have been run in. Thread the darning needle with the tail end and run the thread back into your woven work.